All other versions still planned for May 24 release. 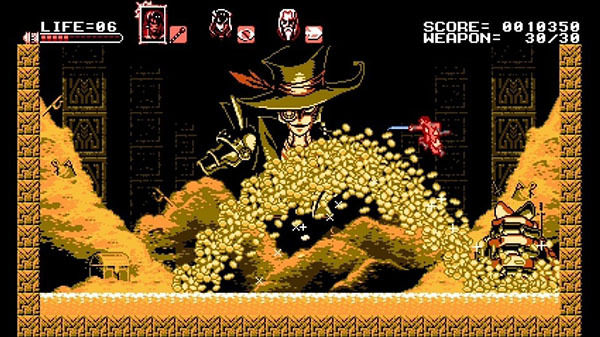 Inti Creates has delayed the worldwide Xbox One and European 3DS versions of its recently announced Bloodstained: Curse of the Moon from their previously planned May 24 release date. The 3DS version will now launch on May 31 in Europe, while the Xbox One version will launch on June 6 worldwide. It is very unfortunate that we have to report this, but for Bloodstained: Curse of the Moon, the game will release on 3DS in Europe on May 31st, and worldwide on Xbox One on June 6th. For us at Inti Creates, this is the first time we have ever done such a large-scale multiplatform, multi-region simultaneous release for a game, and we were unable to properly take into account how much time would be required to get each platform’s online store set-up in each region. This mistake is on us, and we sincerely apologize to the fans affected by this from the bottom of our hearts. Furthermore, we would like to thank our partners at Microsoft Japan and Nintendo of Europe, who did everything they could do right down to the wire to try to help us avoid this delay. Bloodstained: Curse of the Moon is still planned for release on PlayStation 4, Switch, 3DS outside of Europe, PS Vita, and PC on May 24.